R J Smyth Engineering Ltd has been a growing Engineering and Mechanical Services Company since 1980. 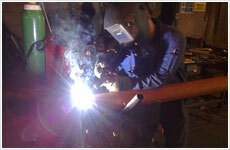 We specialize in stainless steel fabrication, aluminium welding, mechanical services and general engineering. The sky’s the limit in terms of what we can design and we pride ourselves in being able to manufacture and install whatever the customer desires. Some of our more common products would include Stainless Steel Tanks, Platforms, Handrails, Urinals and all manner of Stainless Steel products for the food industry. R J Smyth Engineering Ltd also specialises in large mechanical installations involving stainless and mild steel pipe work for the food, dairy, water, and process industry. 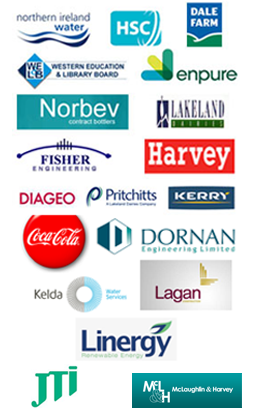 R J Smyth Engineering Ltd also has a well established plumbing and heating division providing mechanical services for commercial, industrial and domestic buildings including gas installations and prefabrication of pipe work. We have the equipment and expertise to provide both 2D and 3D design facilities for our customers. R J Smyth Engineering Ltd currently employs 40No staff and has established a reputation for being second to none for engineering excellence, workmanship, price, and above all quality.